Everyone knows that massaging can help with getting rid of pain. However, not many are actually aware of the types of massages that exist. Each kind of massage has a particular effect and specificity. I wouldn’t want to trail off by listing it all out but you get the point, right? For those who don’t know, percussion massage is useful for sports enthusiasts or athletes since it enhances muscular strength and ability. 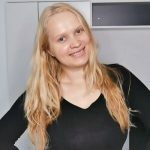 If you want to enjoy it without paying for expensive services, it’s a good idea to buy the best percussion massager you can get and just roll with it. It’s simply a cheap way to enjoy yourself. What’s The Best Percussion Massager? Here’s the list of what I think are one of the best percussion massagers out there. I’ve done a little bit of research and used my own experiences to help you out with that. For further reviews, keep on reading! Before I get down to the reviews, let’s quickly cover the basics and the little but important things you ought to know. Percussion massage is otherwise known as tapotement massage. Tapotement is derived from the French word ‘tapoter,’ which means to tap (source). The tapping or drumming action is known as the percussion stroke. The massage also consists of hacking, cupping, and plucking. However, it’ mostly just tapping and slapping of the affected area (source). These motions are usually fast and rhythmic. While the massage might seem like an easy one, it’s important to realize that it’s mostly suitable for fleshy parts. Additionally, the pressure and frequency of the tapping is important. Sometimes it might just be easier to let the percussion massager do the job. It’s an easy to use, handheld device. You can find it in a professional setting too. It’s designed to massage the tough to reach areas. The percussion massagers used by professionals are usually heavier than the ones you use at home. They also have various speeds, modes, and settings that you can calibrate. The first thing that you’ll notice about this massager is that it’s heavy. I mean, really heavy! So it goes without saying, another person has to operate it on you. If you’re looking for a massager for a senior, then I’d recommend a lighter model. This might get too tiring to operate. Albeit, what justifies the extra pounds is that this massager delivers a good thumping. Additionally, the added weight counters the movement of the nodes, thus, offering stability and balance. The pulse rate is 3350/minute, which is the strongest amongst all the devices that I’ve reviewed. If you’re concerned that the insane power could cause damage then here’s the fun bit: it has switchable heads. Therefore, you can always go for a gentler and yet relaxing massage if that’s what you like. There are 4 extras you can choose from: Deep Muscle, Flat Disc, Accupoint, and Four Finger Flex attachments. You can always switch between a general massage covering a large surface or a concentrated one. The device has a pleasant appearance and is made of high grade plastic since Wahl has not compromised on the device’s durability. The quality speaks for itself. What I absolutely love about this equipment is the handle. Wahl 4290-300 features a 4-finger molded one that fits perfectly into your palm. That also kind of helps with all the weight. Also, the power cord is 8 feet long so it’s as good as having a cordless model. Has a strong and sturdy build. 16” handle enables the massager to reach at any point on your body. Aesthetic and ergonomic design, therefore it’s compact. It’s noisy, that can be annoying. While the elegant handle may make it easy to maneuver, it’s still very heavy. The CM7 by Pure Wave is a midrange percussion massager. Powered by a 1500-3700 rpm motor, this massager is a beast amongst all the cordless massagers. Furthermore, the massager, on the whole, is easy to use and pretty convenient. It’s portable and yet doesn’t compromise on its performance. Suffer from any localized or chronic pain or stress in the muscles? This one might provide you with the relief you need. It's good for those suffering from chronic conditions. Also, might be good to consider if you are an athlete. One end of the massager contains the percussion motor. The other end has the vibrating motor that operates at 10,000 rpm. You can control both the motors’ speed and intensity. It comes with a diverse range of attachments that you can switch between. They can be threaded onto the device or slipped on. One of the things that made me like this device the most is facial attachment. You can use it on your face with or without any oil. Just select the vibration mode to give yourself a good treatment and ease out all the stress. Follow it up with a relaxing scalp massage. Scalp massage stick will help you do that. The other extras include the air cushion attachment. You can use to give a Swedish massage to your joints. The point-stick attachment can be used for reflexology adjustments and acupressure. It breaks up all the knots present in the muscles. If you’re looking for something to boost circulation, relieve stiffness, stretching stiff muscles, then the 6-head stick will restore mobility in these spots. It has 6 different attachments (totaling 6 heads) for different nodal experience. The single node makes it compact and portable. Easy dial makes controlling the intensity of the massage easier. It’s light and easy to handle thanks to the soft silicone grip. The long handle ensures that you reach to every point of your back. It’s a cordless model with a robust battery backup of around 2 hours. The battery just takes an hour to recharge. Single node takes longer than any double or multiple node massagers to cover the same area. The stand is quite rickety and might topple over. The inbuilt battery cannot be replaced. If you have any issues with the battery, you may have to replace the entire unit. The thermal protection circuit is overzealous and may constantly switch off to protect the device. At first glance, the HoMedics HHP-350 looks like a hammerhead shark. It has two changeable pivoting heads that contain the movable nodes. They move in an up-down motion, giving a hammering effect. On high speed mode, the dual pivoting heads can rack up a solid 3,100 pulses per minute. It also has 4 different speed settings that you can choose from. The customizable heads enable you to choose a massage suiting your needs. It has three massage node attachments: Firm, gentle, and soothing heat. The first two are the pressure settings and the third is for equal and even distribution of heat. This model is lighter than the Wahl 4290-300 percussion massager. It makes it easier to handle and operate. If you’re looking for a firm massage, then your search ends right here because HoMedics HHP-350 has a powerful motor. But if you’re looking for something softer, then don’t be discouraged. Since you can simply attach the soft head to the striking pad for a more muffled hit. Thus, the heads can be changed to control the different intensities and the power with which the massage is delivered. For an extra relaxing massage, turn on the heating feature. It’ll soothe your muscles. You’ll feel the tension melt right out of you. The handle is long and has a looped end to hold the massager. This offers a more convenient grip. But, chances of the massager slipping out of your hand also gets minimized. The weight adds a comfortable amount of pressure while massaging. The ergonomic handle allows a firm grip and has a comfortable length to cover the back. Since it is a corded model, you do not have to worry about charging and recharging the batteries. Also, corded massagers can offer a really power-packed performance. The massager can really dish out a pounding. It has a 15 minute timer to protect you from overusing it and also to prevent any overheating of the circuits. The heating is optional and you can switch it on or off in between the operation. The design flaw can be concerning considering that the dual nodes are supported by the slender handle. It has a bulky build as opposed to the streamlined design of the other percussion massagers. The dual pivoting points are quite spaced out, making it difficult to massage a cluster of muscles. It's loud. Heating unit takes long to heat up. The on-off switch is quite tricky. You need to keep toggling between them to get the desired speed. In the Pure-Wave CM5 packaging, you’ll receive the massager, a stand, 3 attachment heads, and a charger. The curved massager makes it easy to reach out to the tricky areas on the middle of your back or between your shoulders. It’s powered by a 1500-3700 rpm motor, which is quite heavy-duty for a cordless device. The massage speed and intensity can be fine-tuned as per your taste using the variable dial. The fact that the equipment is cordless means it’s portable. You can use it wherever you wish to. The rechargeable Li-ion battery offers 2-3 hours of massage action. You can fast charge this device to 100% in just an hour. It doesn’t contain a heating option like the Wahl 429-300 does. But, unlike the howlers that Wahl manufactures, the Pure-Wave massagers is very quiet. The 3 massaging heads include The 6-head stick that boosts blood circulation, the air cushion stick for a light and tender massage, and the point stick to ease out all the tension and knots. The CM5 is pretty much similar to the CM7 minus a few factors. For example, the CM5 is relatively lighter but it also lacks the dual motors of percussion and vibration. Also, it lacks a few of the attachments that CM7 has. With a 14.75” handle, it is easy to cover your entire back. Super light, making it rather friendly to carry or use. Your hands will actually thank you! Cordless model with fast charging. Can effectively reach into the deep tissues. Once again, the battery is inbuilt in the massager and if the battery conks out, the device will basically become useless. Cordless devices cannot have the same powerful impact as their corded counterparts. Lacks the vibrating motor that the CM7 has. Whatever wear and tear the deep tissue muscles experience, the percussive action can trigger a repair response. It strengthens the deeper tissues. The deep and rhythmic pulses that the body receives through the percussive stroke accelerate the growth and repair of the soft tissues (source). Tapotement stimulates sections of your body causing an improved blood circulation, also known as hyperemia (source), in the targeted areas. It can even help in toning out the muscles. Percussion massage stretches out the tissues. Thus, boosts their performance and reduces their nervous excitability (source). The massage techniques also help the muscles relax and alleviate pain, stiffness, and soreness. It is the ideal way to get rid of the ache in the soft tissues. It can even help athletes to recover from workouts or injuries faster. And like all massagers, it relaxes and softens the tight muscles. Percussion massage helps build immunity by boosting the lymphatic circulation (source). Medical tapotement is also used for patients with bronchitis as it helps loosen their mucous, thus, encouraging expectoration. How to Choose the Best Percussion Massager? Now you understand the benefits of using a percussion massager. Here are a few factors you need to consider when choosing the right percussion massager. Like I've said before there are two main kinds of percussion massagers. A massager for one or two people. Since the former is better to use at home, you should buy it. If you wish to give someone a massage, then you can select the two person type. One of the most crucial components of any percussion massager is the weight. The heavy massagers can apply a more intense pressure on sore muscles. 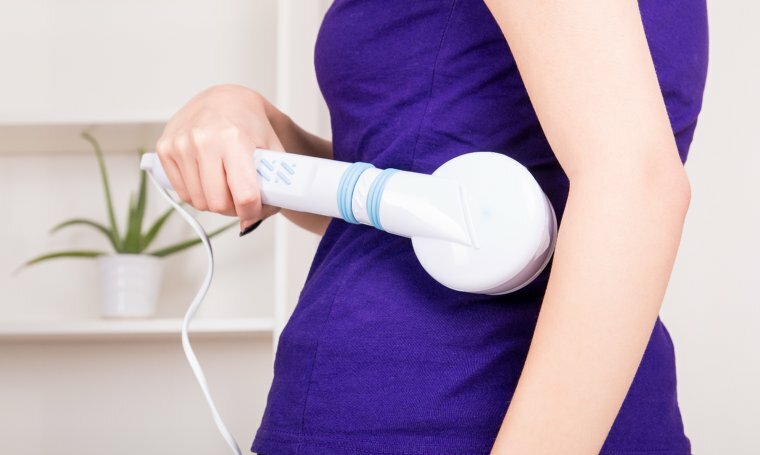 The lighter massagers are easy to operate and manoeuvre along the body. Thus, select one that would be a balance of both. While might want a fancy looking massager, it’s also important to think about the design. Pick one that would seem most convenient for your body. Make sure it has a long handle. The massager should have a firm and easy grip. It's important, because you want to easily move it around. Percussion massagers come with a single or multiple heads. If you want to focus on one problematic point, then you should buy a massager with a single head. But, if you need help with larger boady area, then get your hands on a multiple head device. The massager usually has many speeds to switch between. Usually, massagers consume a large amount of power. Companies either hide this fact or consumers are in general, unaware of it. Always check out the energy rating. Unless you’re okay with paying hefty electric bills. Any massaging equipment is an investment. Hence, find a massager that's sturdy. That might mean that you'll need to spend a little bit more in the beginning. But, it'll be worth it in the long run. As much as I'd like to ignore it, price continues to be a regulating factor when deciding on which model to choose. Albeit, in an attempt to skimp on some money, do not try to compromise with the quality. Percussion massagers aren’t that expensive. I noticed that some stores jack up the prices so be wary of that as well. Choosing the right percussion massager with the ideal balance of the all above factors will reduce the fatigue you might experience. How to Use a Percussion Massager? If you’re using a corded model, plug in your massager. If you have a cordless massager, check if the battery has any juice. Apply the attachments and turn it on. Start by moving the massager on the back of your neck and shoulder areas. Avoid using the massager directly over the bony protrusions. Keep the setting at the lowest if you’re unsure of your threshold. You can later adjust the speed. Spend some time on the region between your shoulders as a lot of tension accumulates there. Move down your back and along your spine. Once again, don't massage directly over the spine. Use it on the fleshy, muscular area on either side of the spine. Once your muscles begin to feel relaxed, begin massaging the lower back. The lower back along the waistline is often tense and stiff. Keep working on the knots until you start feeling them unwind. Next, begin massaging on your gluteal band and your buttocks. Make your way down to the hamstrings, which cause lower back problems when the muscles get tight. Ease the massager onto your calves and then bring it to your shins and up to the quads. Massage the stomach and abdominal region. Make sure that you have used the lowest setting on your massager from hereon. Use the massager on your chest. This is especially helpful if you suffer from chest congestions. Massaging near the heart will improve blood circulation. Stimulate the lymphatic nodes present in the pectoral area to boost immunity. Massage your arms and wrists. Those suffering from carpal tunnel will experience some relief. NOTE: If you want to concentrate on a particular area, then you may skip a few steps. Stick to those addressing your issue. Percussion massage involves tapping. Thus, avoid the procedure with sensitive muscles or bony areas. Refrain from using the massager over kidneys, back of the knee, or spine. If you use lotion or cream with your massager, apply it to the attachment rather than your skin. That'll make the experience more pleasurable. Begin using the percussion massager at the lowest settings. You can later increase it. Percussion massagers are not meant to be used for hours to no end. It might not only damage your skin or the massaged area but also wear out the device’s motor. If you suffer from diabetes or any other disease, please consult your physician first. So that’s all about percussion massagers. A percussion massager can boost health and well-being. It’s an investment that pays off over a span of years. 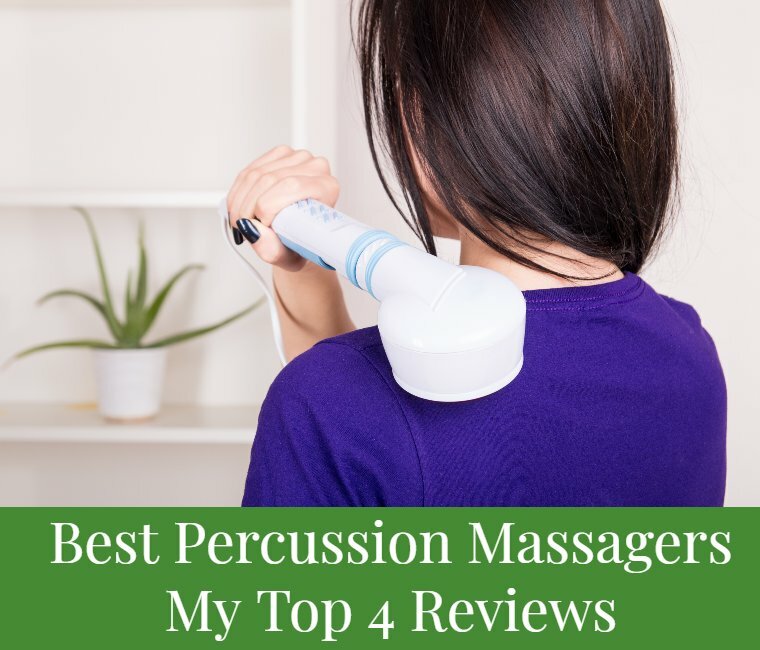 I hope you found your best percussion massager. No matter which massager you choose, follow all the usage instructions. Especially storage and cleaning guidelines laid out by the manufacturers.